Summer has officially hit Seattle! Here are 25 Summer-approved low FODMAP recipes. Whether you’re soaking up the sun like Bailey, or you’re more of a Nellie and prefer to relax in the shade, I hope you’re enjoying this amazing Pacific Northwest weather! 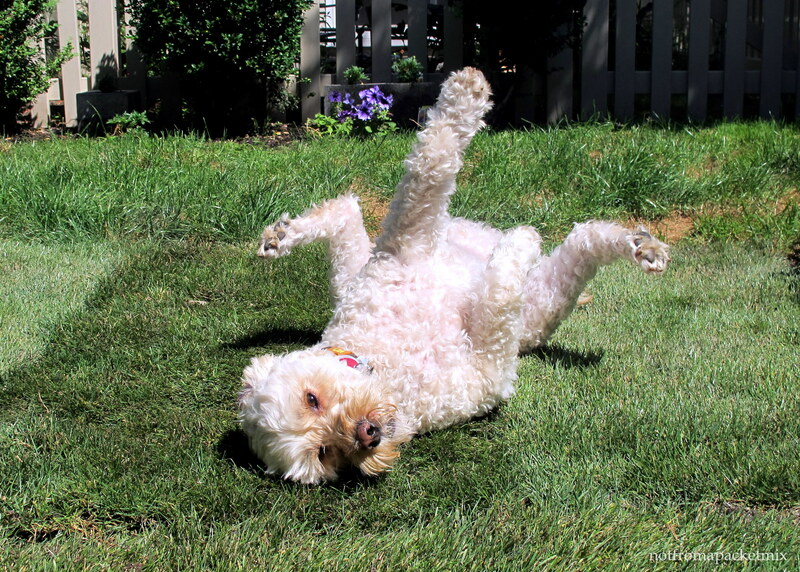 We’re experiencing crazy hot temperatures – for Seattle – this year and some of us are loving it…. some, not so much. Unfortunately for Nellie, we think the heat might be a trigger for her epilepsy. At the very least, she doesn’t cope well above 25 C/80 F, the poor thing; she’s a lot like Evgeny (cue fur joke). Bailey and I, on the other hand, don’t really consider this as “hot” weather, it still seems more like late Spring weather to us, than high Summer. Yes, I realise I just put words in my dog’s mouth. Also, check out our Facebook page for a cute little video of Nellie Belly getting her den just so. 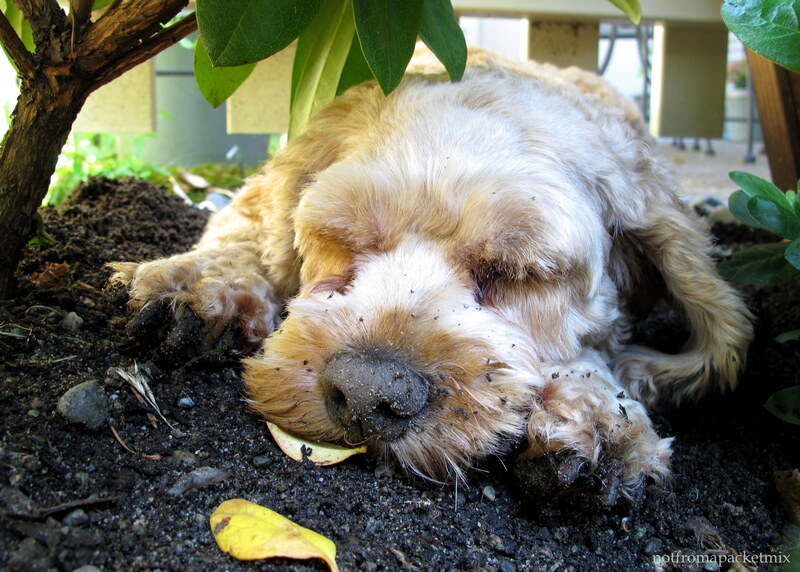 It’s been so hot that she had to dig down to find the cool/damp soil. In honour of this hot weather – and also to make my Mum jealous, as she suffers through Melbourne’s “freezing” temperatures (her words, not mine) – here are some good looking, low FODMAP recipes that are also appropriate for summer. Carrot and coriander soup – from She Can’t Eat What? This entry was posted in Dinner / Mains, Entrees, Appetisers and Sides, Not A Recipe, Sweets and Desserts and tagged Aussie, Australia, banana, cockapoo, dinner, Dog, FODMAP, FODMAPS, fructose friendly, fructose malabsorption, fruit, gluten free, healthy, home-cooked, homemade, hot, ice cream, low fructose, low sugar, real food, recipes, seafood, Seattle, spoodle, spring, summer, USA, vanilla bean, vegan, vegetarian, weather. Bookmark the permalink. so happy to hear that you liked my Rainbow Salad and thank you for listing all those amazing recipes! Hope you are enjoying a great summer!